60 mL bottle of Alkalinity Titration Reagent B. This refill kit for the LaMotte alkalinity test kit includes 50 BCG-MR Indicator Tablets and a 60 mL bottle of Alkalinity Titration Reagent B. 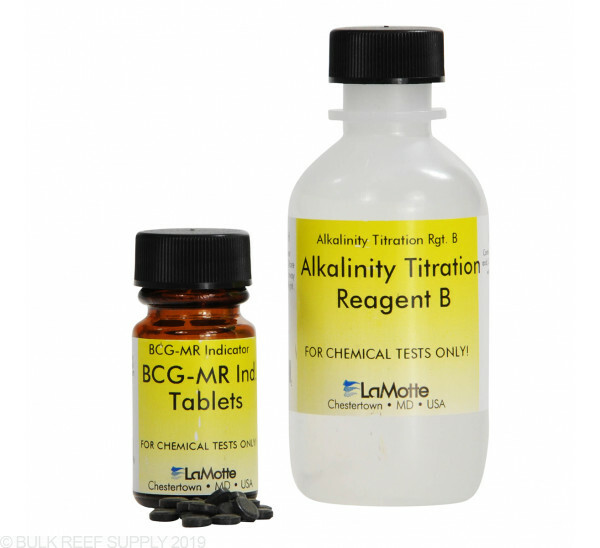 Love the lamotte alkalinity test kit and regularly purchase these refills. Keep a close eye on the expiration dates of your reagents and replace them with this kit when they expire. I've experienced drifting alkalinity results with expired reagents.